I hadn't been to Mexico in over 30 years. I went a couple of times with friends in the early 80s but hadn't been back since. I was long overdue for a trip to that beautiful country. Mexico has certainly changed and so have I! Until last year (when we went with friends to Palm Springs at Spring Break) Joe never thought he would enjoy a vacation to a warm destination. After all, he's the guy who sleeps in the basement when the mercury rises above 20 C and has a fan blowing in our bedroom in December. But much to his surprise, he discovered he did like lounging by a pool soaking up the sun while drinking margaritas. When we finally decided to take a Spring Break holiday, we called 'Sell Off Vacations' to see what last minute deals were available. We were offered a one week, all-inclusive package to the Riu Santa Fe resort in Cabo San Lucas. 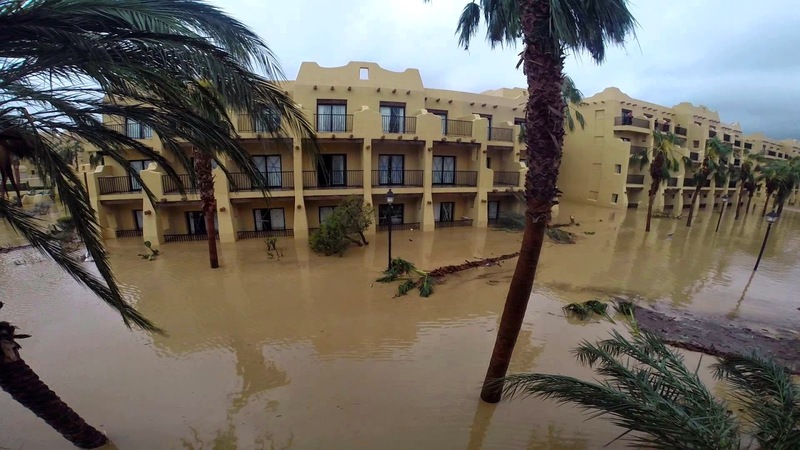 No sooner had we booked our trip I remembered Los Cabos had been hammered by Hurricane Odile several months ago. 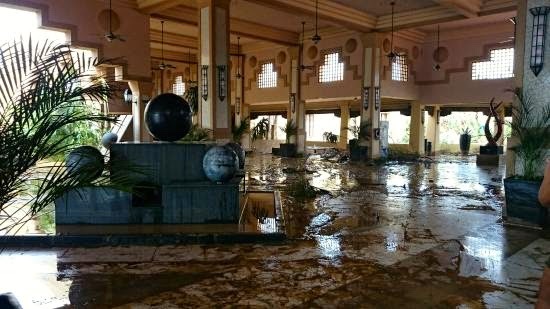 I wondered about the current condition of the resort. Could it possibly have been cleaned up and rebuilt in six short months? The short answer? YES! 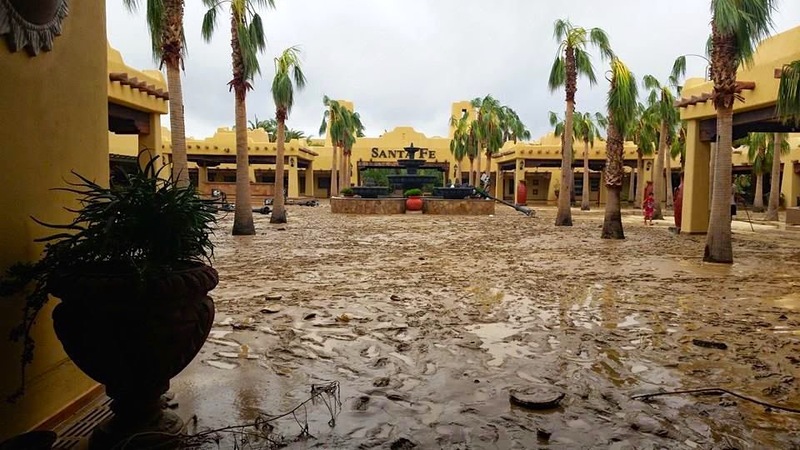 It is a testament to the tenacity, grit and true strength of the Mexican people that anyone would ever know a Category 4 hurricane had ripped through their community last September. We had a wonderful time. The resort was lovely, the weather was perfect, the food was good. 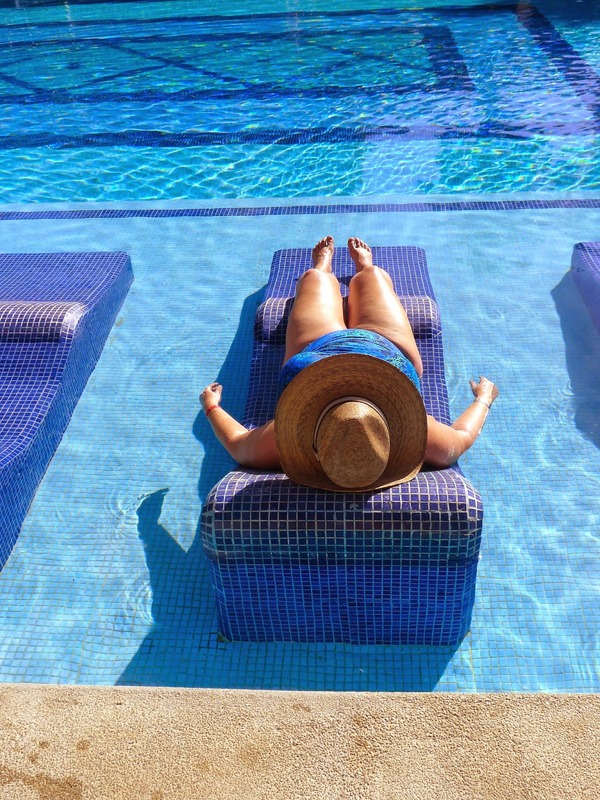 My goals for the week were to read, nap, sunbathe, float in the pool, drink beer and eat my weight in guacamole. I exceeded expectations in all areas! We were advised not to swim in the ocean. After about 2 seconds of standing on the beach I understood why. The waves that crashed onto shore were often so large and powerful it sounded like dynamite exploding when they hit the sand. I became obsessed with photographing the waves. I stood on that bloody beach and took photo after photo after photo. I wanted to snap just one photo of the biggest and baddest wave out there. I took 179 photos of the waves over the course of seven days. Every day I'd say to myself, "Self, this is ridiculous! Stop it. You have enough wave pictures." And the next day found me on the beach with my camera. Needless to say, I never got any photos of the biggest waves. Because they always came ashore when I was up at the pool! Don't worry, I won't bore you with all 179 wave photos. But I must show you a few. Remember, these are just medium sized waves. See where the people are standing/sitting at the far edge of the sand? From there it slopes down about 20 feet to the water's edge. That gives you a bit of an idea how big these waves actually are. As many of you know, Joe is not a 'paying attention' sort of guy. And so it was that he found himself without his beloved Tilley hat one day after arriving at the pool. He had dropped it somewhere on his walk from our room to the pool deck. He retraced his steps. No hat. He asked at the front desk if anyone had turned it in. No hat. He resigned himself to the fact that he had lost his Tilley hat. Since I had two hats (and hadn't lost any) I offered him the pick of my collection. He chose the striking orange hiking hat to match his swim trunks. Well, whaddaya know? Seven hours after losing his hat, it was magically returned to him. Joe's hat was sitting on his deck chair waiting for him when he got out of the pool later that afternoon. Who returned it? Who knew which pool we were at? Who even knew which chairs we were sitting on? It will remain a Mexican mystery. From the 'IT'S A SMALL WORLD' department: One day, I struck up a conversation with the woman who was laying on the deck chair next to me at the pool. We asked where each other was from. When we both replied "Squamish", we sat bolt upright in our chairs! And not only that, we figured out that her husband gave us our Hepatitis A shots at the pharmacy before we left for Mexico! It was nice to run into her with her lovely children over the course of the week. Our week in Cabo San Lucas came to an end all too quickly. It was the perfect antidote to a long and rainy winter. Thank you, Mexico, for another wonderful vacation. I promise it won't be another 30 years until we are together again.